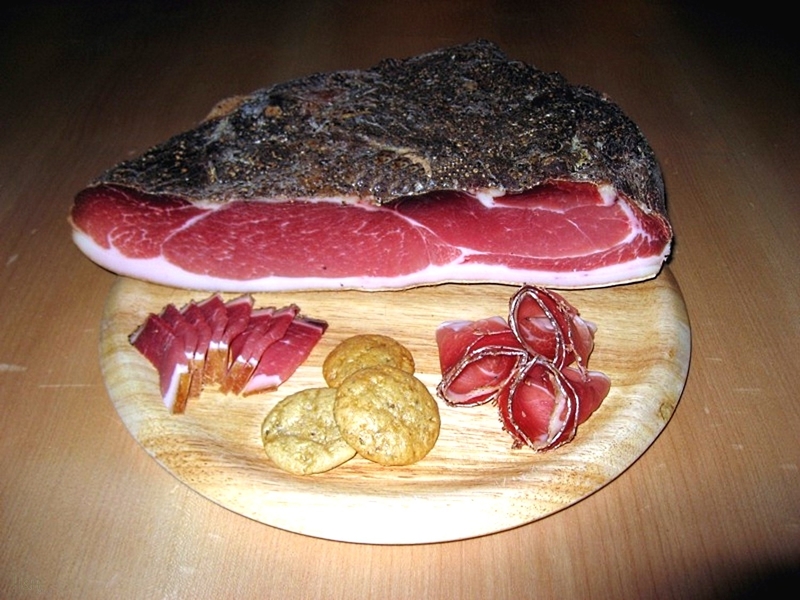 We can offer you a whole flitch of bacon speck (about 4 kg) produced in traditional manner by the butchery "Hell" Welsberg located in the beautiful Pustertal valley in Italy. Buy now this product together with Bacon Speck Bernardi Karl 1/8 heart-piece approx. 500 gr. ready for shipment: in stock Bacon Speck Bernardi Karl 1/8 heart-piece approx. 500 gr. 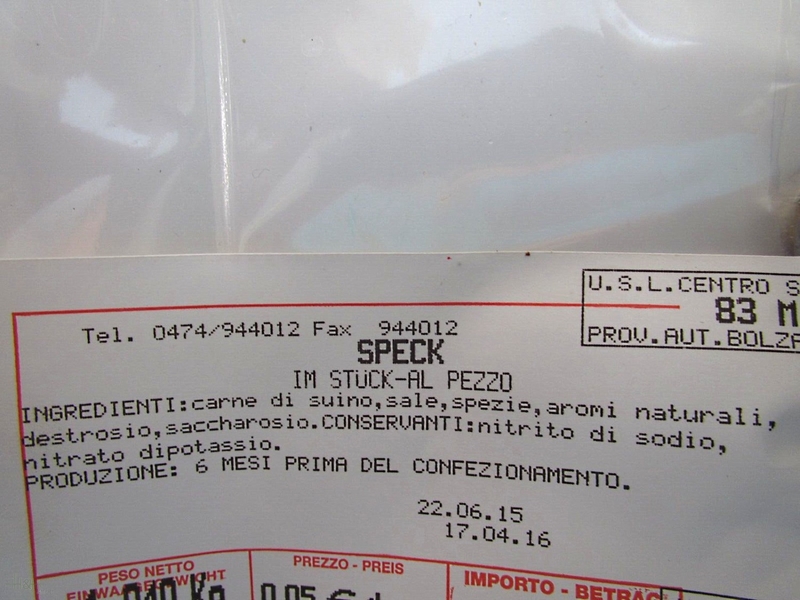 Ottimo speck !!! bellissima la baffa intera. Very interesting spicy aroma of well sustained meat with spices, it is thin improved by a juniper smoke. The weight all is more, than 4 kg, and are more pleasure than from Spanish Serrano. The relation of fat/meat is optimal. Very tasty Tyrolean delicacy. I recommend to try. I would like to have seen an instruction delivered with the ham explaining how to carve and store it. Traditional Bacon Speck Bernardi approx. 4,8 kg. 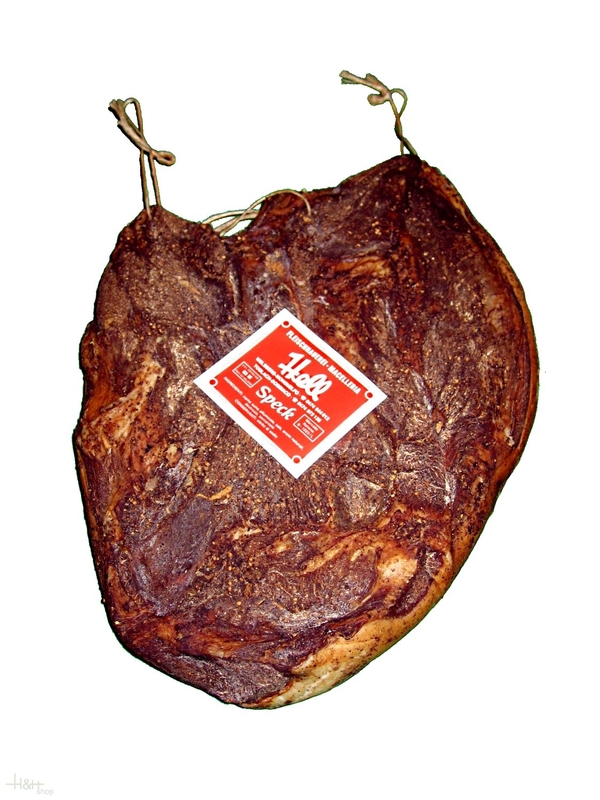 90,60 EUR / 18,88 €/kg.